Faith.Hope.Life Campaign: At the Intersection of Faith, Mental Health, and Suicide. As the number of churches providing a mental health focused ministry grows, one gap becomes more evident: the lack of attention given to addressing suicide. Yet, the rate of suicide in this country continues to edge upward, especially among middle-aged whites. Churches have an important role to play; and, there are now resources readily available to help. The newly launched Faith.Hope.Life Campaign provides a rich variety of information and tools to support your ministry at that challenging intersection of faith, mental health, and suicide prevention. These resources help you and your church build the capacity to address suicide in three ways: in prevention, in crisis intervention, and in providing care after a suicide event. • Support those who face mental health challenges and/or problems with misuse of alcohol and other drugs, as they seek effective treatment; and they support their families and loved ones, as well. The main idea in the Faith.Hope.Life Campaign is that a church would dedicate one week a year to one or some of these themes, and through this, amplify its ability to tamp down suicide risk. Faith.Hope.Life Campaign is an initiative of the Faith Communities Task Force of the National Action Alliance for Suicide Prevention. The resources were developed and collected by volunteers and are provided to all free of charge at www.Faith-Hope-Life.org. There are sections of the website tailored to each of the three Abrahamic faiths–Christianity, Islam, and Judaism–as well as resources generalizable to any faith community. Faith communities of all types, including military chapel programs, are ideal sites for the Faith.Hope.Life campaign. Why should churches consider the Faith.Hope.Life Campaign? Suicide does not discriminate. Without regard for race, ethnicity or gender, it can strike the lives of the rich and famous, the down and out, and the just plain ordinary. You can be confident that for every 100 people in your church family, several will seriously consider suicide in any given year. Compare that with the number who will suffer devastating physical problems. The faith messages of Faith.Hope.Life help these individuals resolve those thoughts in a positive and healthy way. Additionally, you may be able to not only prevent the thoughts, but their terrible consequences—a suicide attempt or a death by suicide. Promoting an annual Faith.Hope.Life Campaign in your church can make a tangible difference. This is more than just “one more activity” to keep people involved and engaged. Time and time again, studies have shown faith to have a very powerful effect in preventing suicide, pointing to “protective” factors, such as, hopefulness, social connections, and reasons for living, that tend to be stronger in people of faith. Having an active faith and having a healthy involvement in a faith community have both been shown through research to help protect people from suicidal thoughts, suicide attempts, and death by suicide. By promoting an understanding that mental health challenges and mental illnesses are as “real” as physical health problems, people of faith in your church are given permission to seek treatment from the medical experts in addition to seeking spiritual health through the ministry of the church. Perhaps the best way to communicate that those with mental illnesses are welcome and supported is by simply praying for them, just as you do the folks facing physical challenges and hardships. And refer to the mental illness by their names. Those leading public prayers should say the words–depression, anxiety, post-traumatic stress, bipolar disorder, schizophrenia, and problems with alcohol and other substances—just as you would name physical illnesses or surgeries. Of course, confidentiality should be respected. By mentioning the names of the specific illnesses, you send a message that people facing the challenges in the mental and emotional domains are just as important and deserving of care and support as those with physical challenges. Also, you send a message that these illnesses, disorders, and challenges are real health problems and not character flaws or spiritual failings. When was the last time you mentioned the names of mental health problems in your public prayers? • Worship and spiritual resources including: sample prayers, meditations and liturgies; ideas for sermons and homilies; hymns and songs; and scriptural resources. Faith.Hope.Life Sabbath can be observed any week during the year; however, an ideal time for the campaign is early in September during Suicide Prevention week. Doctor Litts is a nationally recognized expert in suicide prevention and co-lead of the Faith Communities Task Force of the National Action Alliance for Suicide Prevention (www.ActionAllianceforSuicidePrevention.org). His distinguished career in suicide prevention includes being appointed by the White House to serve on the 2010 Congressionally- mandated Task Force on Preventing Suicides among Members of the Armed Forces. Dr. Litts is a nationally recognized consultant in suicide prevention with a 19 year record of historic accomplishments in the field. 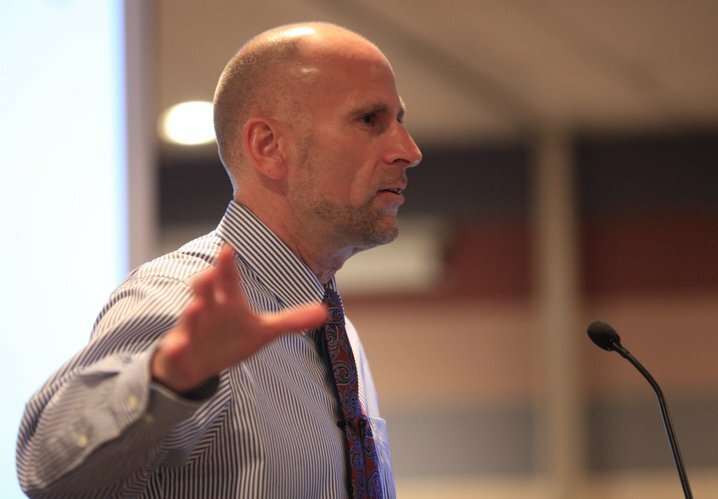 Throughout his suicide prevention career, Dr. Litts has contributed significantly to the writing, development and distribution of publications and resources to support faith communities in recognizing and responding to suicide risk and suicide loss and currently serves as a Co-Lead, Faith Communities Task Force, National Action Alliance for Suicide Prevention, the public private partnership catalyzing the implementation of the National Strategy for Suicide Prevention.